When you are in Spain you will find that the word Tapa is commonly used in day to day basis. Tapa basically is a word used to describe lots of different kind of snacks which can be eaten as a snack, a starter or even to serve as a light dinner meal. Tapas can be cold or hot. In this article, you will be breathlly introduces to some tapas which are our top favourites. This is a most typical starter in Spain. 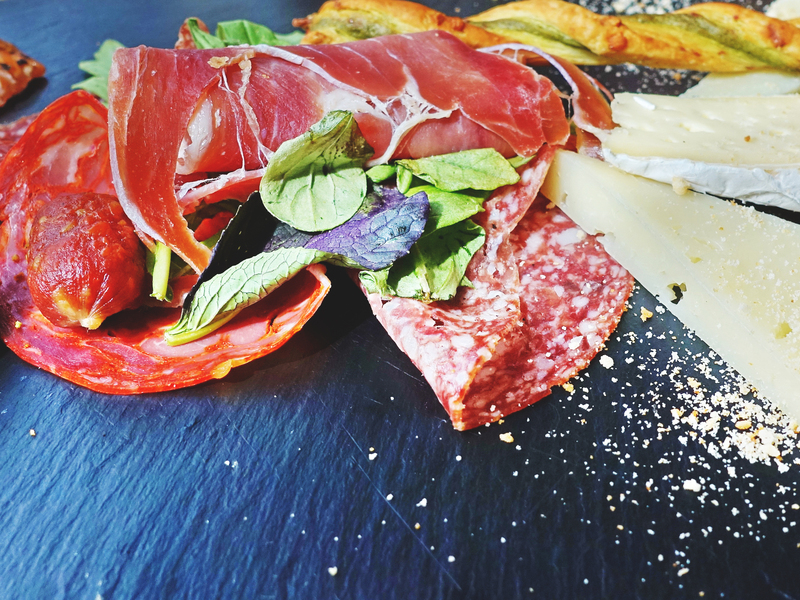 A plate of Jamon Serrano together with some green olives which you normally get for free and a plate of the Spanish cheese of your preference whether it is so-called Queso Zamorano, Idiazabal, Manchego or Cabrales, will really add up to the Spanish culture experience. If you are a seafood or fish lover, you just must try pulpo a la gallega (octopus of Galicia). Originally this tapa/ dish came from north of Spain region of Galicia called Leon. However, now you can get it pretty much everywhere. It is normally served on a wooden plate with boiled or roasted potatoes a little bit of olive oil, coarse salt, and paprika. It is a burger made out of regular hamburger bun, a little bit of mayo, leaf of salad, slice of tomato (optional), onion (optional) and most important bull tail meat. If you are not vegetarian, we would truly recommend to try this out. Most of the people who try it say that this is the best burger which they have ever tasted. Pan-grilled shrimp that is a translation for you. It is an amazing very tasty starter which can be combined with a glass of wine or cold beer. If you are a seafood lover you just MUST try it! Ensaladilla Rusa or to put it in English words Spanish Potato Salad which is a very popular tapa around Spain. As you already understood it is made out of potatoes, carrots, eggs, olives (optional), mayonnaise, green peas (optional), paprika. Best Ensaladilla Rusa is served with some Tuna or shrimps. Another dish coming from Galicia. It is basically a bread pie which can be stuffed with shellfish, tuna, or some kind of meat. You must eat Empanada while fresh until it still contains that crusty outside and soft fresh inside. Empanada can be eaten cold but most of the people prefer it to be a little bit warm. It is a little snack especially popular in the Basque country and Navarre. It is a basically piece of white bread topped with different kind of ingredients. The name Pincho came from the way the tapa is served. It is normally spiked with a toothpick. Toppings can vary from fried eggs, meat, fish to different types of vegetables, cheese etc. Can be served as a tapa or eaten as a light dinner. It is a typical dish of Cordoba and it means “little Flemish”. It consists of Jamon Serrano wrapped in pieces of pork loin, coated with egg and breadcrumbs and then deep-fried. If you prepare flamenquin yourself, you can use beef instead of the pork if you like it better. Also, you can add some slices of cheese. You can also serve flamenquin or see it served with French fries and mayonnaise. Another very typical tapa across Spain. It is a bread crumbed roll made out of mashed potatoes or ground meat. The Croquetas with mashed potatoes has different variations. You can find some croquetas with shellfish, cheese, vegetables, spinach etc. It is perfectly suitable to eat together with some salad. Patatas bravas is fried potatoes served with Brava sauce. Brava source is spicy tomato sauce which can be served together with garlicky mayonnaise called Aioli. It is pretty much Spanish-style omelette with potatoes. It can be served as a tapa or as a dish depending on the amount. You can eat it warm or cold. If it is prepared well it is super tasty. Tortilla de patatas can have additional ingredients. You can find it with Jamon Serrano, spinach, goat cheese, sausage (chorizo), onion (cebolla) and so on.